Like most plants, jade plants’ water requirements change by stage of growth or from season to season. 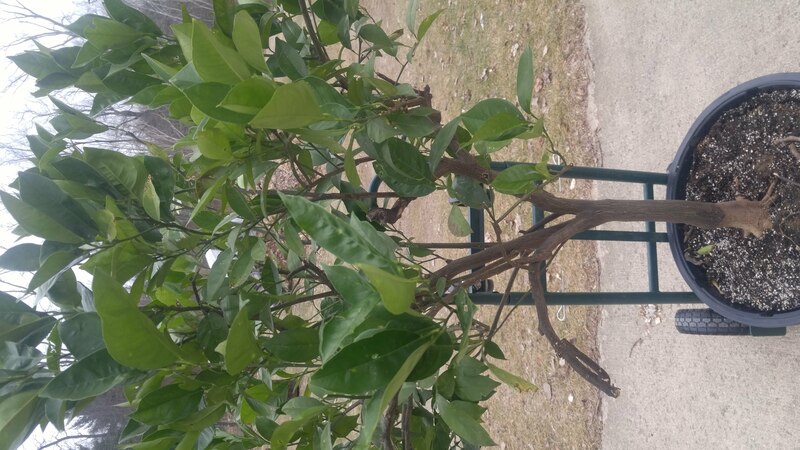 For example now, during the winter, there is less sunlight so plants including jade plants, are photosynthesizing less and won’t need as much water. The tendency for some gardeners is to kill their plants with kindness by over-water this time of year. Over-watering has symptoms similar to under-watering. When you give a plant too much water, it can cause the roots to become water logged and eventually die back. 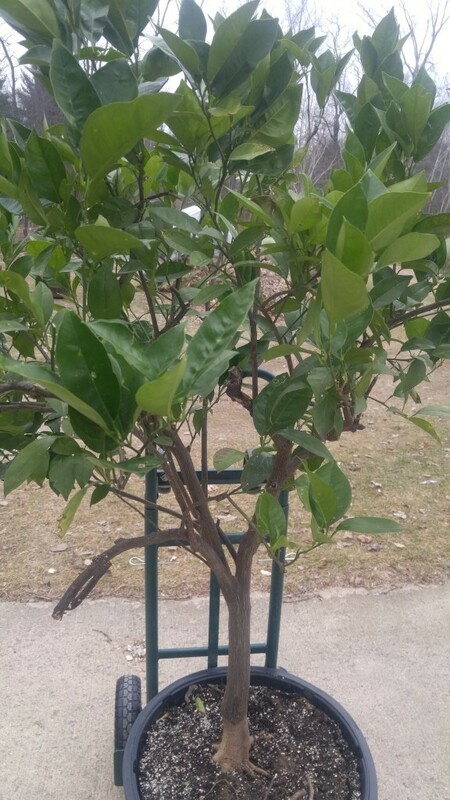 When the plant loses its roots, it can’t take up enough water, hence, the apparent symptom of not enough water. The well-meaning person taking care of the plant gives it even more water making the problem worse. But how do we know if we are giving the right amount of water to our plants? A lot of people talk to their plants. Unfortunately the plants don’t answer back but they can communicate their needs in other ways. 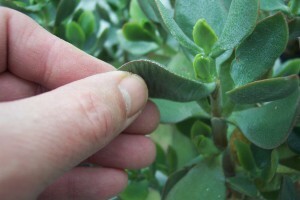 A jade plant is able to store water in its fleshy leaves and stems. When it dries out to the point of needing water, the leaves become soft and flexible. If you think your jade plant needs water, gently squeeze a leaf or two. This jade plant leaf feels firm, no need to water yet. If it feels soft, it needs water. If it’s still firm and turgid, it’s not time to water yet. The plant shown above needs no water, the leaf feels pretty firm. This jade plant leaf feel soft and flexible, time to water. When the plant finally does needs water, add enough water to moisten the entire root ball. Then let the water drain out completely. Never let the pot stand in water water, you could risk damaging the roots by exposing them to too much water. 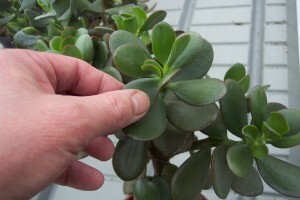 This squeeze-the-leaf method works best on jade plants and other succulents. While it’s popular to bash seemingly frivolous tax payer funded scientific research, I think most people would agree that a vast majority of research is worth while. There is some really interesting research happening over at the US Department of Agriculture that may have the potential to spill over into the organic gardening area. A naturally occurring chemical called methyl bromide may turn out to be a safe, effective, natural insecticide suitable for organic growing. If methyl bromide sounds vaguely familiar, it’s because you’ve probably seen it on a list of food ingredients on the package of one of your favorite foods or beverages. It’s often listed under one of many different names such as methylbenzoate, benzoic acid, methyl ester and others. Methyl benzoate is found naturally in the flower aromas of daffodils, tuberoses, kalachoe, snapdragons, petunias, and many others. These flowers produce methyl benzoate as part of their fragrance to attract bees and other insects. This substance contributes to the flavor of bananas, cherries, cloves, allspice, mustard, coffee, black tea, dill, kiwi and other plant foods. It’s used in the food industry for its nutty, cherry-like flavor and fruity, flowery scent. As it turns out, this chemical, when isolated or as part of a formulation, can repel or even kill many insect pests. Plus it leaves no long term residue that can build up on food or in the environment. All of this is still in the early stage of research, but if it turns out that a methyl benzoate formulation is effective, it probably won’t take long for it to gain governmental approval. Many insect pests are developing resistance to current pesticides this may help to fill the void left by insecticides that are no longer effective. Also, organic insecticides are not always good at killing certain types of pests. If it works, methyl benzoate will be a valuable addition to the organic insecticide arsenal. As a side note, methyl bromide is scent drug sniffing dogs are looking for. Methyl benzoate is produced when cocaine is exposed to the moisture in the air. Onions are a staple in our kitchen and I’m guessing are in yours too. While homegrown vegetables are always the best, it’s especially true with onions. Those little onion bulbs, called sets, that you find in the garden center were grown last year from an onion variety selected for good storage characteristics, not flavor. I have to confess that I’ve used them plenty of times in the past during those years when I was not able to grow my own transplants. Not only do homegrown onions in general taste better, you can pick and choose the variety you want without having to depend on what the local garden center has to offer. There are all kinds of gourmet onions available that you can only get if you grow them yourself. Just stay away from short-day varieties, they are not adapted to our latitude. The secrete to growing onions from scratch is to get started early. I try to sow my onion seeds indoors sometime during January. Onion seeds are fairly small so don’t cover them too deeply. Onion seeds are fairly easy to grow. Compared to many vegetables such as tomatoes, peppers and others, onions don’t require as much attention. With most other vegetable seedling, transplanting from a crowded container into individual pots or cells is absolutely necessary, that’s not so critical with onions. They do quite well growing close together like a clump of grass during the early stage of their life cycle. To get started, sow onion seeds into clean containers, I use six inch plastic flower pots. They’re easy to wash and sterilize and can be used year after year. Fill your growing container an inch or so from the top with a good starting mix, other types of potting mixes may be used if the manufacturer didn’t add too much fertilizer. Gently firm the soil down and moisten it. 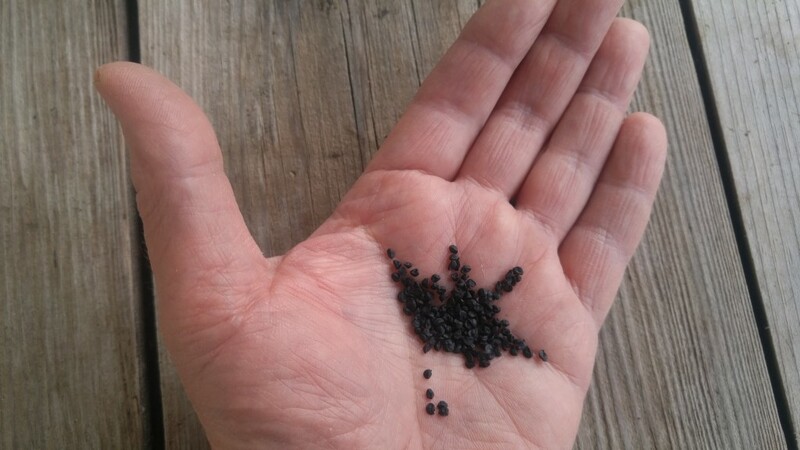 Sprinkle your onion seeds evenly over the surface of the soil –about 50 -60 seeds will fit nicely in a six inch pot. Cover the seeds with about a quarter inch of the starting mix and firm it down so it makes good contact with the seeds. Lightly water the pot. You should start to see the tiny seedlings begin to emerge in about a week to ten days at 70 degrees F. Once they’ve emerged, place the pot in a sunny area and drop the growing temperature to the lower 60′s during the day and upper 50′s during the night. If you grow your seedlings under artificial light only, give them ten hours of light a day. Keep them moist but not soaking wet. Occasionally fertilize your growing plants according to directions on the fertilizer package. The onions will sometimes grow so much that they will fall over. If that happens l cut back the tops a little bit with a pair of scissors. Our goal is to get the plants about a quarter inch wide at garden planting time. Since onion transplants can tolerate frost and cold soil temperatures, you can plant them into the ground as early as April. That will give them plenty of time to grow lots of leaves. The larger the onion plant is when it begins to form bulbs, the larger the onion will be. At planting time you just knock the plants out of the pot all together in one clump and pull them apart as you plant. If you haven’t done so, order your onion seeds now so you can get them started soon.